Hearing the words "your pet has cancer" can be devastating. In the past, a cancer diagnosis may have left pet parents with little or no hope. PetCure Oncology has changed all that. Today, you can take comfort in knowing there are new therapies revolutionizing the way we treat cancer in our dogs and cats—and they’re now available for your four-legged loved one. Stereotactic radiosurgery (SRS) is an advanced form of radiation therapy that has already been proven effective in treating humans with cancer. SRS is designed to cure cancer, not just ease the symptoms. What sets SRS apart is its unprecedented precision, which now enables the treatment of some tumors that were previously considered untreatable. SRS is a noninvasive therapy that puts a premium on your pet’s quality of life, resulting in far fewer treatment sessions, anesthetic events and side effects. Founded by a frustrated pet parent, PetCure Oncology is teaming up with veterinarians all over the country to give more people and more pets access to comprehensive cancer care that includes SRS as a treatment option. Just as important, our teams of specialists deliver this treatment with an extremely high level of care—for you and your pet—every step of the way. 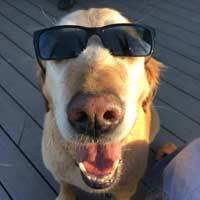 Meet Mark “the lovable golden” and some of the special pets treated with SRS. 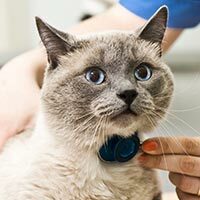 Clinical Trials: is your pet a candidate? Get more information, enroll or recommend a pet for our current Lung Tumor clinical trial.